BRC was pleased to have the opportunity to participate in Open Access Week this year from the 24-30 of October. Open Access Week is an event whose purpose is to bring awareness to the potential applications and benefits of Open Access to scholarship and research throughout the world. BRC's participation is in line with our commitment to preservation and dissemination, Offering our digitized material freely to the public domain. 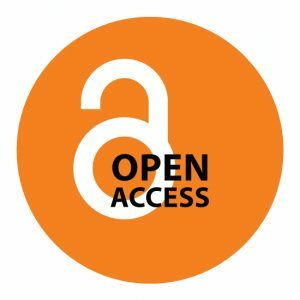 The Open Access Movement supports the idea that research should be freely accessible online, at no cost to anyone.This free exchange of ideas facilitates more rapid advances in research of many kinds. 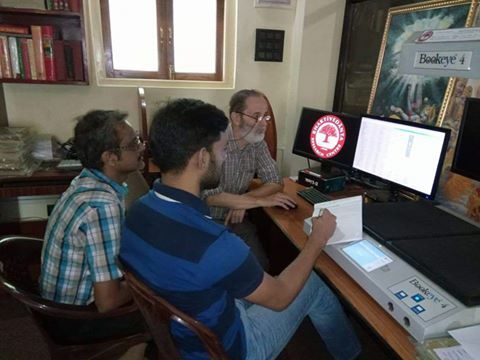 In only seven days, BRC scanned 2681 pages from 15 rare books and uploaded them, a truly amazing feat made possible to the dedication and commitment of our Head Librarian, Angelo Pugliese (Acyuta Dasa,) and L2C2 Technologies Consultant, Indranil Das Gupta. A fully searchable database is of utmost importance to a research library's purpose. It is essential to make our resources easily available for researchers. 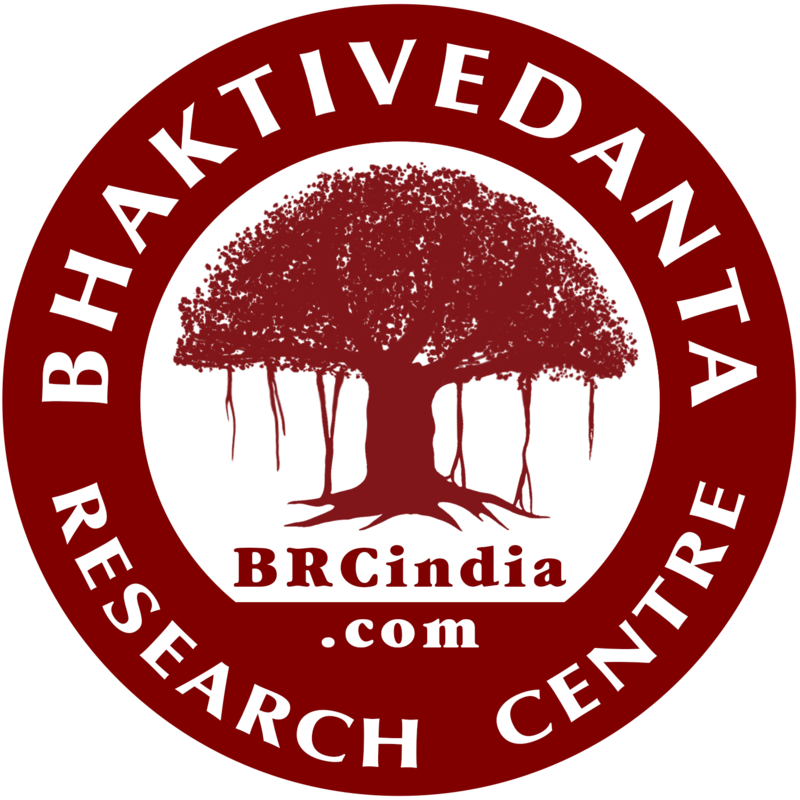 We have recently acquired over 3000 extremely rare academic journals on various topics within Indian Philosophy and Religion. The titles of the articles describe fascinating and obscure topics such as the first discussions on developing Roman script for Indian languages, for example. Although BRC has only one scanner in our facility, our Head Librarian, Acyuta Das has innovated a second work station that utilizes a smart phone for potential volunteers to help with creating electronic image files. After the table of contents are scanned in these journals, OCR (optical corrector recognition) software will identify the text and convert it in such a way that we can make it part fo a searchable database. In order to make any significant progress in our indexing, we need your help. Please contact Acyuta Prabhu, BRC Head Librarian at acyuta@brcindia.com. He will be happy to engage you in this service.